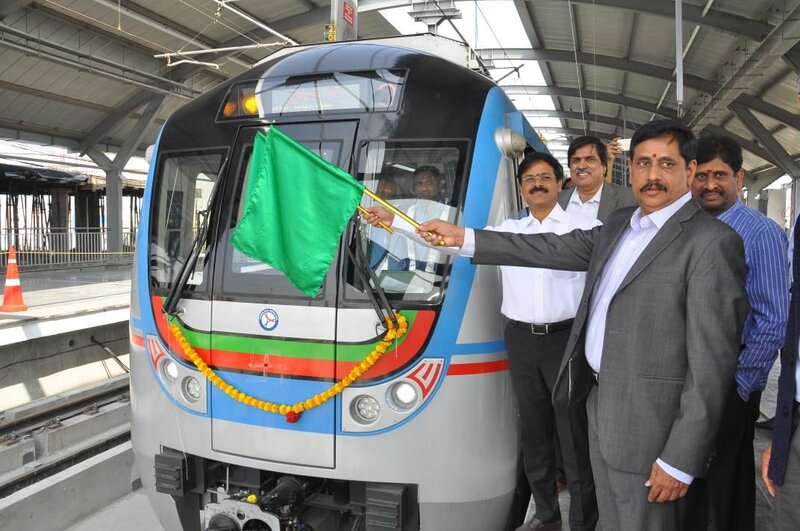 The trial runs on Ameerpet-Hitech City stretch of the Hyderabad Metro Rail corridor-III commenced here on Thursday coinciding with the completion of one year of HMR operations. Hyderabad, Metro Rail News: On the occasion of the first anniversary of the L&T Metro train operations. The trial run of the Metro train between Ameerpet and Hi-tec City began here Thursday. A team of technical experts and engineers led by managing director of HMRL NVS Reddy and managing director of L&T Metro Rail Hyderabad Limited K V B Reddy travelled on the Metro train on the 10-km stretch and observed critical parameters and performance of the train during the trial run, the release said. The stretch of Ameerpet and Hi-Tec City has eight stations. The stretch between Ameerpet and Hi-Tec City is of 10 km viz., Madhura Nagar (Taruni), Yousufguda, Jubilee Hills Road No.5, Jubilee Hills Check Post, Peddammagudi, Madhapur, Durgam Cheruvu and Hi-Tec City. The Hyderabad Metro Rail Limited and L&T Metro Rail Hyderabad Limited have overcome technical challenges owing to sharp curves and gradients, and also land acquisition problems, an official press release said. HMRL and L&TMRHL have achieved a major milestone in providing the eagerly waited for Metro Rail access to the Hitec City area. A double-line railway track functions as two separate single-lines wherein each line works as an independent single-line and trains are operated in both up and down directions on the same line as if these are two independent single lines.